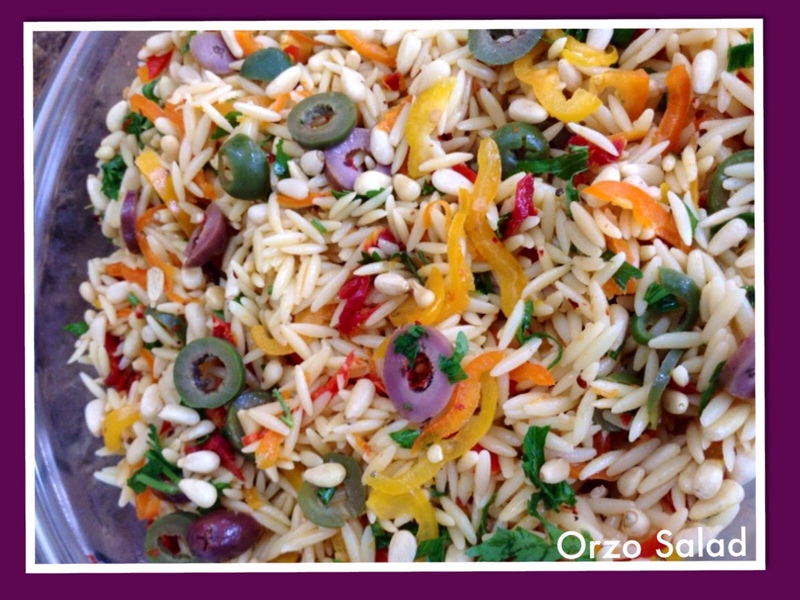 For those new to this…Orzo is a Fun rice shaped Pasta which is often used in salads, soups or even an interesting entree! Boil Orzo pasta according to package directions, drain and keep aside. Add choice of veggies & herbs…I used sliced peppers, sun dried tomatoes, olives, fresh/dry oregano, fresh basil and Crushed red pepper. Toss in dressing, sprinkle some pine nuts/walnuts for some added crunch…serve chilled! Whisk together 1 tbsp white wine vinegar with 2 tbsp olive oil. Add a sprinkle of sugar, a dash of salt, a twist of black pepper…ready! Tangy Orange Salad with Red Onions and Chives!